Railpictures.ca - Paul Santos Photo: The west end of the shop tracks sees a lone SD40-2 on this snowy morning. | Railpictures.ca – Canadian Railway Photography – photographie ferroviaire Canadienne. 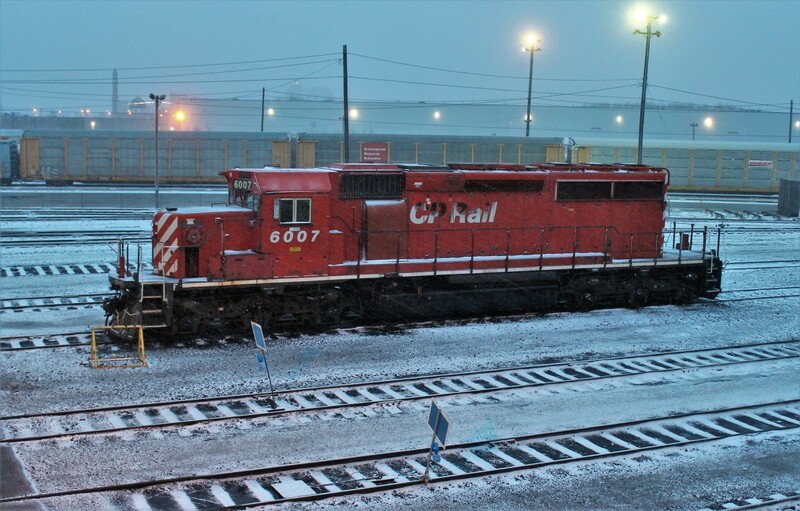 Caption: The west end of the shop tracks sees a lone SD40-2 on this snowy morning.